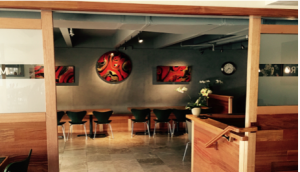 Aloha Thai Fusion food truck now has a restaurant. 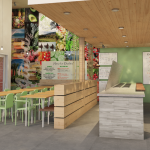 Known for its highly-rated Thai and Hawaiian food, the business will celebrate its grand opening all weekend in the Pi‘ilani Village Shopping Center, where Safeway is located on Pi‘ikea Avenue. The festivities will run from 11 a.m. to 2 p.m. on Friday Sept. 7 through Sunday Sept. 9, and will include free food, free drinks, live music, balloon animals and clowns. 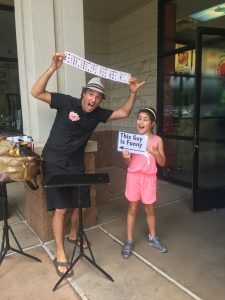 Maui magician Brenton Keith is providing fun entertainment, and balloon animals should be happening on Sunday. Folks can also enter to win free Thai food for a full year. 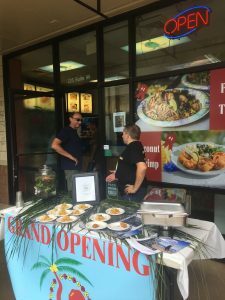 Aloha Thai Fusion celebrates its grand opening with free samples and entertainment from 11 to 2 p.m., Sept. 7 to 9, 2018. Photo by Kiaora Bohlool. 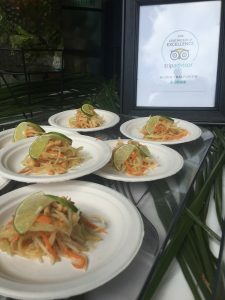 Papaya Salad, free during Aloha Thai Fusion’s grand opening. Photo by Kiaora Bohlool. Magician Brenton Keith and his Bag O’ Tricks is outside the restaurant with entertainment for kids and adults alike. Photo by Kiaora Bohlool. Aloha Thai Fusion is located in the Pi‘ilani Gardens Shopping Center food court in Kīhei. Photo by Kiaora Bohlool. 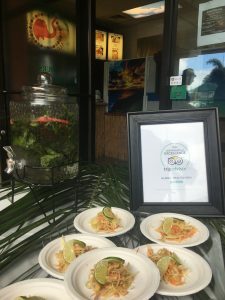 The business began in 2003 and also offers catering. 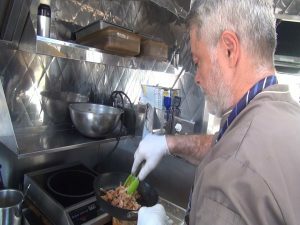 Its food truck remains open at 77 Alanui Ke’ali’i St. in front of Worldmark Resort in Kīhei. Food is made fresh to order with local farm fresh ingredients, along with vegetarian and vegan options. 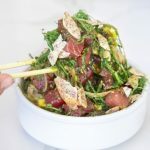 Aloha Thai Fusion will be open at 225 Pi‘ikea Avenue, Suite 96 every day of the week between 10 a.m. to 9 p.m. See their website to learn more.